With motherhood comes just about every emotion imaginable: love, empathy, anger, humor, stress, happiness. On the one day a year dedicated to motherhood, the one feeling most moms crave: relaxation. Massage appointment, brunch, perfume set and stylish scarf. It’s difficult to ignore the elaborate retail displays all providing pricey options to pamper Mom on her special day. It’s hard not to go overboard as well. In fact, Americans will spend more than $170 on average on Mom this year, according to the National Retail Federation. But, for those who haven’t made a spa appointment or gone on a shopping spree yet — or for little ones budgeting for mom’s gift with a weekly allowance — have no fear. You’re better off picking up the feather duster, stirring pancake batter or just leaving her alone to nap or get lost in her favorite book for an hour or two, according to a recent Chick-fil-A survey of 164 busy moms. Here are last-minute gift ideas – including some freebies — to show Mom you love her this Mother’s Day. For the sleep-deprived Mom: Give Her the Day Off! Meanwhile, Stephanie Gilbert would love to turn over all of her responsibilities to her husband for the day. “I would love for my husband to handle everything — taking care of the kids, feeding them,and dealing with issues — the works! Many moms say they would love a massage, pedicure or an overnight getaway with girlfriends. It’s not too late to plan a special surprise. Find a spa near you and book an appointment for Mom on Spa Finder or book a last minute trip on Expedia. A Mother’s Day “indulgence” doesn’t need to be elaborate. Most moms surveyed admit they would be just as pleased with a simple indulgence that they wouldn’t buy themselves. Kris Bales wants a milkshake—“strawberry, please.” Rachel Everheart wants a movie night with popcorn and her favorite candy. Treat mom to a movie theater gift certificate, available at your local theater or online through Regal Entertainment Group, AMC Theaters and Cinemark Theaters. FTD delivers more than flowers and can still send candy, cake pops and other treats to mom in time for her special day. If you’re lucky enough to have a mom who cooks and bakes, she may want to spice up the kitchen. Survey participant Melissa Brewster-Masek, for instance, wants a bread slicer. Jyl Nipper would like a turquoise Kitchen-Aid stand mixer. Chick-fil-A chef Christy Cook recommends the Immersion Blender from Cuisinart, available for less than $60. Chick-fil-A Chef Angela Wadlington suggests the Bamboo Cutting Board, available for less than $40 at Williams-Sonoma. “It doubles as a trivet and a serving tray with recessed handles,” Wadlington says. This Williams-Sonoma’s bamboo cutting board is multipurpose. While it was designed to fit on top of the Breville Countertop Convection Oven to save counter space, it doubles as a trivet and a serving tray with recessed handles. Heather Everett Thomas says she would like to spend a day with her family of five when “NOTHING is on the calendar.” Similarly, Jennifer Belden wants a day free of electronic gadgets, where “we can just hang as a family.” Turn off the phones, iPads, video games and other high-tech devices. Leave the technology at home and head out to a park for a picnic and friendly family athletic competition, play cards or get crafty with these family craft ideas. Coffee is the caffeine source for 61 percent of Americans; you can bet some of those are moms waking up early to care for the family. Chick-fil-A and the expert brew masters at THRIVE Farmers Coffee recommend putting Mom’s Mug on Mug. 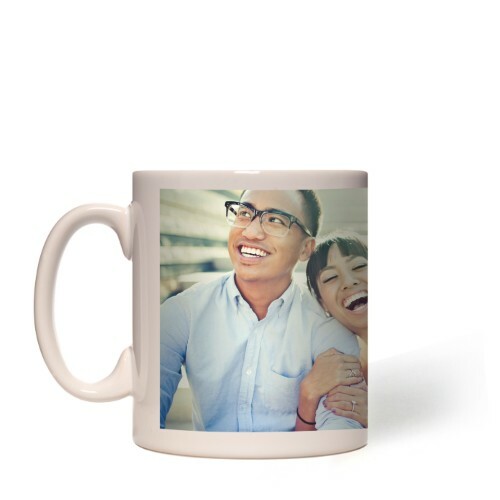 It’s a personalized mug that is perfect for the coffee enthusiast who loves you almost as much as their specialty-grade beans. It’s available on Shutterfly and for a rush delivery fee, will make it in time for Mother’s Day. Still stumped? Don’t be shy, just ask Mom what she’s wishing for! The results can be surprising and offer new insights into a person you thought you knew well. Mom Alice Chase wants her van detailed by a professional. Others mentioned a cozy blanket, an origami necklace, a Pandora charm or even a handmade card. For more gift ideas, check out our previous gift lists for the ultimate coffee aficionado or at-home chef. First comes baby, then comes exhaustion. That’s right, bringing home a newborn is one of the most special times in any parent’s life. It’s also likely be the time when you forget where your phone is… when it’s in your hand.